This web site is a place to learn more about the roots of the Pesulima Family. Family news can be mailed to this site. Gina Pesulima lets us know on Facebook: "My beautiful Oma, Ethne DeFeniks, passed on from this earthly realm last night. I will miss her dearly. She was born in Indonesia in 1928. My family left Indonesia during the war and immigrated to Holland where my father then grew up as a boy. 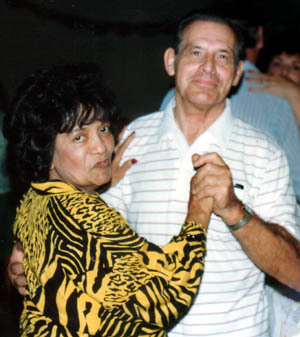 After my Opa died, she immigrated to the United States with my father and his sister and settled in Los Angeles. Words cannot convey how grateful I am for her, and for all she has given me." We wish the family all the strength to bear the pain of this great loss. Also see the Pesoelima Lineage. 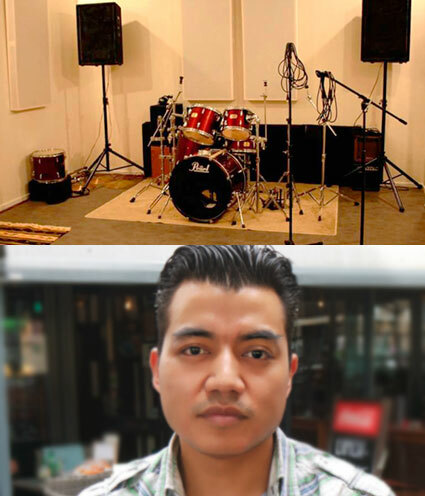 Joshua Pesulima (oldest son of Treesje Pesulima, Oss, NL) follows his dream by opening his own music recordingstudio. The studio consists of two rehearsal rooms and studio space. Have a look on studiooz.nl or facebook.com/studiooz.nl for info/contact. A nice article about Joshua was in the regional newspaper BD (in Dutch). You can read the article here. 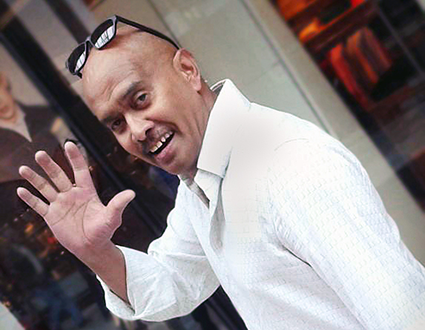 It is with great sadness that we have to inform you that our family member Oscar Passelima from Indonesia has passed away on Thursday the 5th of January 2017. 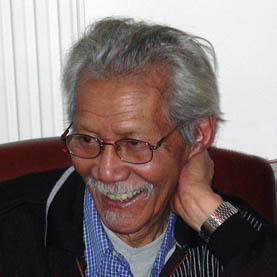 Oscar Passelima was born in Malang on September 21st 1940. He had three children: Albert, Novita and Rio. We would like to offer our condolences to the family and friends. Also see the Ternate Lineage. We are sorry to let you know the very sad news that Jack Pesulima, aged 38, has died. Only one year after his father Willem (who died on January 6 this year) the family has suffered a heavy loss again. We offer our condolences to the relatives and wish everyone a lot of strength! Also see the Lokki Lineage. 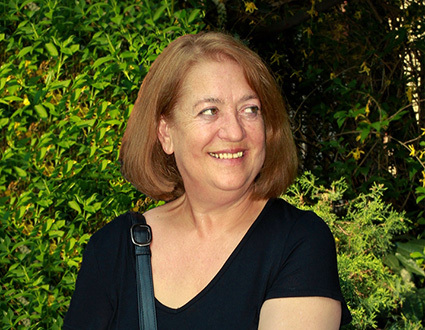 We are very sorry to let you know that aunt Henny Pesulima from Cappelle an den IJssel (the Netherlands) has passed away. Aunt Henny was born in Nieuwerkerk aan den IJssel (The Netherlands) on 16 April 1936. She was married to uncle Joop Pesulima. She will be remembered as a reliable person that felt very involved with her loved ones. We share the grieve and sadness of the close family members. We wish them all the strength to bear the pain of this great loss. Also see the Galala Lineage. We are saddened we've to tell you that our family member Willy Pesulima-Pegel from Cuijk, the Netherlands, has passed away on Thursday the 6th of April 2017. She will be missed by all of us, and most of all by her close family and friends. Wilhelmina Anna Maria (she was called Willy) Pesulima was born in Venlo on the 26th of November 1948. She married to Pieter Pesulima in 1966. We would like to offer our condolences and sympathy to Pieter, Wim, Isra and Bas and to the other relatives and friends. We wish them all the strength to bear the pain of this great loss. It is with great sadness that we have to inform you that our family member Willem Pesulima from the Netherlands has passed away on Friday the 6th of January 2017. Willem Matheus Pesulima was born in Sittard on the 3rd of March 1960. We would like to offer our condolences to the family and friends. May the love of all be a comfort during these difficult days. 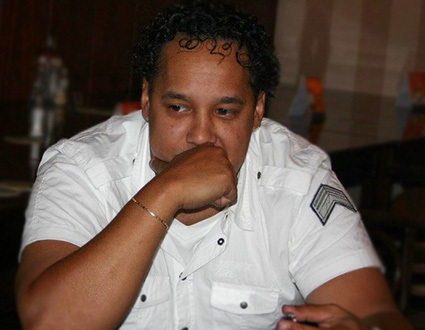 We are very sorry to let you know that our family member Freejohn Pesulima from Cuijk (the Netherlands) has passed away on Sunday the 1st February 2015. 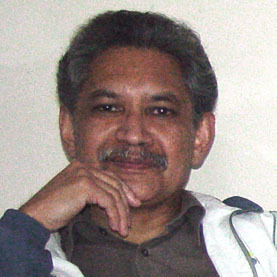 John Pesulima was born in Ambon on 6 November 1952. Freejohn will be remembered as an friendly and always smiling friend of all of us. We share the grieve and sadness of his wife Jane and his children Kizia and Jesse and we send them our condolences! Hopefully they find the strength to bear the pain of this unbelievable loss. Shochone Pesulima and his partner Samantha are very happy to tell that on the 5th of December 2014 Samantha gave birth to a beautiful son named Isayah Nayeli Benjamin Assaai. Isayah was born in Venlo, the Netherlands. On the picture we see the proud father Shochone, grandfather Lambert and in his hands Isayah. Three generations Pesulima together. Saturday November 10th 2012 was a wonderful day! Many family members visited the Pesulima Family Day! Over 250 Dutch Pesulima's and relatives met eachother in Huizen and they enjoyed this beautiful happening! Thanks to Jacintha, Fietje and Evert for their initiative and their work to make this dream of many family members come true. Thank you for your great idea and engergy! See the updates and photos of this big family event on the Pesulima Family page on Facebook. You can also follow and contact your family members there and see their latest news and photos. Hevige stortregens hebben op 1 augustus in het Indonesische Ambon tot overstromingen en een aardverschuiving geleid. Hierbij zijn 1.800 huishoudens getroffen (zo'n 9.000 mensen). Tien mensen zijn omgekomen bij de ramp, onder wie ons familielid Rita Lasol-Pesulima uit Passo. 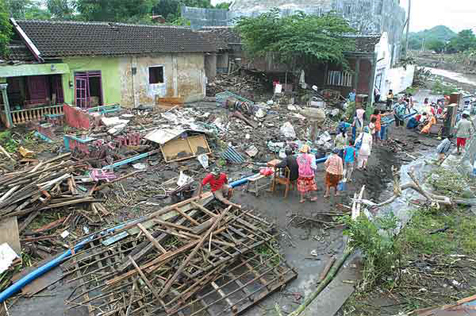 Het Indonesische Rode Kruis kwam direct in actie door te helpen met evacuaties. Op dit moment is het Rode Kruis actief bij het reinigen en uitdelen van schoon drinkwater. Maar ook bij het schoonmaken van zo'n 1.800 huizen en het herstellen van waterputten zodat deze weer bruikbaar worden voor de getroffen bevolking. Financiële steun is van harte welkom en wordt besteed aan bovengenoemde en overige hulpactiviteiten voor de getroffenen. U kunt een bijdrage storten op giro 7244 o.v.v. Hulp aan Ambon. Meer informatie is o.a. te vinden op de Facebookgroep 'Ik heb hart voor Moluks erfgoed'. 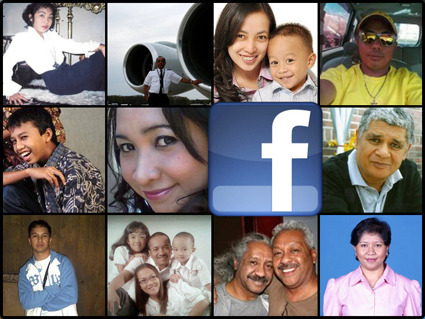 Visit the Pesulima Family page on Facebook to follow and contact your family members. Here you also find the latest news and photos. De afgelopen weken hebben drie familieleden het initiatief genomen om een familiedag te organiseren. Dit fantastische idee van Jacintha Pesulima, Fietje de Lima en Evert Aponno is natuurlijk enthousiast ontvangen door de vele familieleden en er wordt rekening gehouden met een grote opkomst. 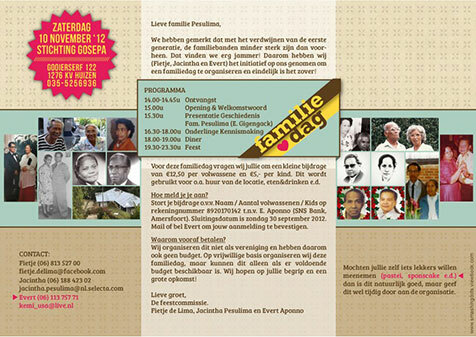 De Pesulima Familiedag wordt gehouden op 10 november 2012. Hou deze datum vrij. Later volgen meer bijzonderheden. Inmiddels is er ook een Pesulima Facebookpagina opgezet. Volg hier de laatste berichten en weetjes: Facebook-pagina. Op de foto een familiedag in het klein: nichten (en neven) hebben een geweldige tijd op De Efteling. Van links naar rechts: Dewy Pesulima, Sunseray Pesulima, Cloeraiisa Brekelmans en Sijarina van der Mast. Op 16 juni 2012 zijn de neven en nichten bij elkaar gekomen in De Efteling. Het gaat hier om de kleinkinderen van oom Jan en tante Non. Jay kwam op het idee om met z'n allen op stap te gaan. Via Facebook is afgesproken dat het De Efteling zou worden. Zo is deze neven- en nichtendag van onze Pesulima youngsters ontstaan. Op de foto: vooraan van links naar rechts Shochone, dan de meiden Sijarina, Sunseray, Chloe, Dewy, Malu. Achter staan Jay (met zwart petje), Dylan, Stanley, Mitchel, Luka, Dayshon. Linksachter Josh (met hand voor ogen). Veel van onze familieleden zijn muzikaal. Dat komt goed uit want Joshua uit Oss zoekt andere Pesulima's voor een studio-muziekproject, om een nieuwe band te starten, of om een paar optredens met elkaar te doen. Dat zou toch moeten lukken. Dus mensen laat even van je horen en benader Joshua via zijn Facebook-pagina. Maar liefst zes familieleden speelden in dit team dat kampioen werd tijdens een voetbaltoernooi in Ede in 2010. Het zijn: Minggus, Roberto, Erwin, Martijn, Djunardi en Jalen Pesulima. En dat terwijl supertalent Yoram nog niet eens van de partij kon zijn. Enam anggota keluarga Pesulima bermain sepak bola di Ede pada tahun 2010. Pesulima MENANG : Minggus, Roberto, Erwin, Martijn, Djunardi dan Jalen Pesulima. Kami punja super talent Yoram Pesulima seng ada disini. We received the very sad news that Thursday the 10th of June 2010 Elisabeth M. Pesulima Pattiasina from Solo (Jawa), has passed away. Elisabeth was only 57 years old. 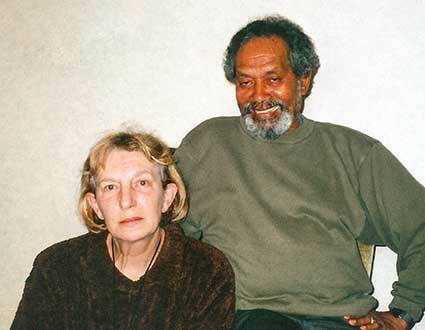 She was married to Piet Pattiasina. Elisabeth was born in Tasikmalaya (West Java) on the 13th of December 1952, as the first child of Zefnath Pesulima and Geertruida (Teda) Thenu. We like to send our condolences to Pieter Pattiasina, Tiersa, Inggrid and Vico and other family members and we wish them all the strength to bear the pain of this great loss. We are happy we can show you this beautiful photo of opa Soleman Pesulima that we got from his granddaughter Joanny F. Maryorie Pesulima. 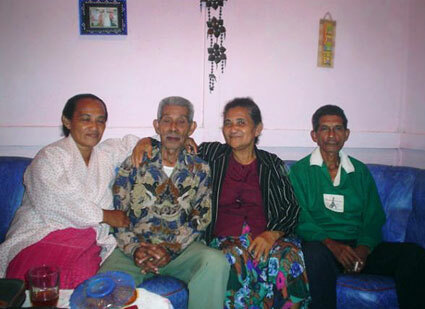 Opa Soleman (uncle Oleng) is accompagnied by three of his children, from left to right: Marietje Pesulima (married to Andrias Muskitta), Johanna Pesulima (married to Wijnand HITIAHUBESSY) and Jopy Pesulima (died in 2006). The photo was made in ... .
Also see the Soya Lineage. New family members and/or photos added thanks to Facebook! Thanks to Facebook (www.facebook.com) we could locate some new family members and add them to the family tree. We asked them if we could use their portraits that are showed in their galleries on Facebook. You'll find some of their pictures here. Clicking on one of these portraits will bring you to the person's position in the family tree! We received the very sad news that Thursday the 21st of April 2009 Aunt Hanna Pesulima-Sitania from Cuijk (the Netherlands), has passed away. Tante Hanna was 84 years old. She was the wife of Uncle Wim Pesulima. 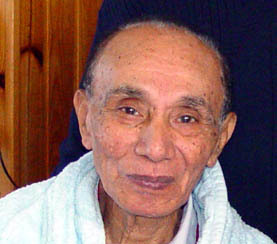 (Oom Wim passed away in November 2006). We like to send our condolences to Pieter and Willy Pesulima and the grandchildren and we wish them all the strength to bear the pain of this great loss. 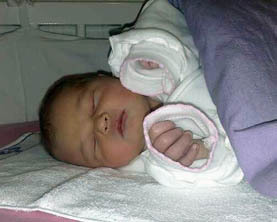 Shochone Pesulima and his partner Sharissa from Asten (the Netherlands) are very happy to show the picture of their daughter Joënny, born on the 12th of March 2008 at 05:29 hours in Geldrop. Both mother and daughter are in a good condition. It runs in the family, and that's also true for Laya Pesulima, the daughter of the famous singer Broery Pesulima and Wanda Irene Latuperisa. In the YouTube video you can watch her doing a beautiful song 'Have Yourself a Little Merry Christmas' while playing the piano. Laya lives with her mother and older brother Don in New York, the USA. The video was recorded in the Father's Love Church (Gereja Kasih Bapa), located on 57-04 Roosevelt Ave. Woodside, New York. Also see the original video at YouTube. On Sunday the 30th of December 2007 Black and White Generation had a very successful concert in De Schouwburg in Cuijk, the Netherlands. See the videos at www.langsdemaas.nl. On the site www.blackandwhitegeneration.nl you can order a DVD of the concert. 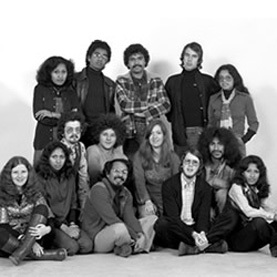 In 1967, Black and White Generation was founded by ds Pieter Pesulima. 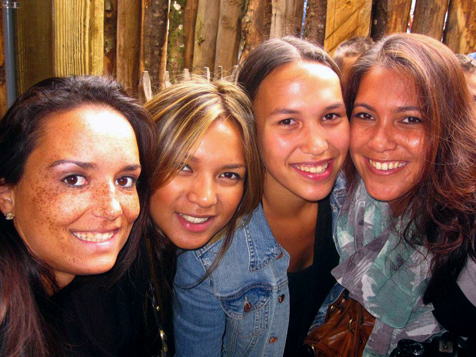 Moluccan and Dutch youngsters went together to make music. 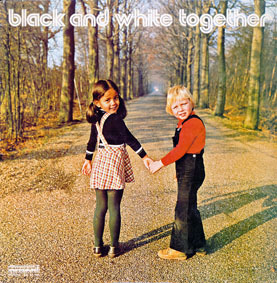 The group soon became popular in Cuijk (the Netherlands) and surroundings and in 1973 the first LP was launched: Black and White Together. In 1976 a second LP followed: Talking Hands. The group became nationally known for appearances at NCRV television. We are very sorry to write that our family member John Pesulima from Nijmegen (the Netherlands) has passed away on wednesday the 21st November 2007. 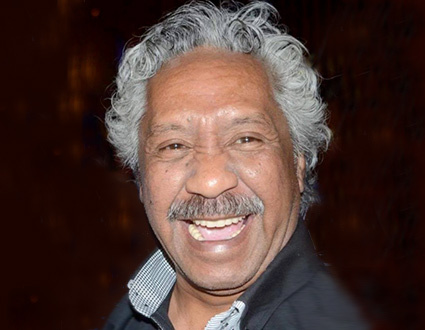 John Pesulima was born in Tanimbar on 6 december 1943. John suffered from an illness for some years, but his dead came unexpected. We share the grieve and sadness of his wife Wil and his three daughters Jacintha, Laurien and Caroline, and we send them our condolences! Hopefully they find the strength to bear the pain of this unbelievable loss. When I met John and his family for the first time I was very impressed by his calm and distinguished but strong personality. We will remember John as a man with passionate and strong believes. The inhabitants of Lokki have been working with the kerkraad and the reverend on a plan for a new church building. The Church of Lokki will be called "Bintang Pengharapan" which means nothing less than: Star of Hope. But these plans, as you will understand, costs money! I hope you can support us and the people of Lokki to rebuild the church of Lokki! Pieter Pesulima from Cuijk has opened an account on which your donations can be deposited. Note that he has no foundation established for this project because we see this as a one-time help of our village. We thank you all very much for your generosity! And oh yes, please forward this call for help to your family and friends that might be interested and also willing to assist. Churchgoing in Lokki before August 1999. 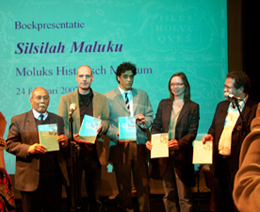 Saturday the 24th of February 2007, Ron Habiboe presented his book Silsilah Maluku (Molukse stamboom). The book is the first of a series of books called ‘Voorouders van Verre’, published by the Centraal Bureau voor Genealogie (CBG) in Den Haag. Silsilah Maluku is a guide for genealogical research for families from who the roots lies (partly) in the Moluccas. During the presentation Bert Lever (CBG), Hans Straver (LSEM) and Lilian de Bruijn (CBG) had some interesting speeches on the subject. We received the very sad news that Tuesday the 28th of November 2006 Oom Wim Pesulima from Cuijk (the Netherlands), has passed away. Oom Wim was 83 years old. He was the husband of Tante Hanna Pesulima-Sitania. Oom Wim was born in Lokki (Ceram) on the 17th of January 1923, son of Pieter Pesulima and Cornelie Breemer. We like to send our condolences to tante Hanna,to Pieter and Willy Pesulima and the grandchildren and we wish them all the strength to bear the pain of this great loss. The installation of John Lodewijk Rehatta as the new Raja Soya/Ambon in December 2005, was showed on Garuda TV on Monday 18th September 2006, in the program Mutiara Khatulistiwa Mutiara Dari Puncak Sirimau at Garuda TV. More information at www.garudatv.nl. During the Pasar Malam International 2005 in Utrecht the public was surprised by a performance of Anis Pesulima from Maarssen, the Netherlands. It was in the show of the Indonesian artist Doddie Latuharhary that Anis accompanied him. Anis had a very successful performance with his rap interpretation of the song Stand by me. A video was made by Cees Duifhuizen. Start the video. You can also see the clip of Doddie and Anis here. Image and video used with permission of Cees Duifhuizen, webmaster of Mantouw Productions: pasarmalaminternationaal.nl and pasarmalammaluku.nl. Chris Passelima and his partner Chantal from Hengelo (the Netherlands) are very happy to tell that on sunday the 25th of September 2005 at 16.15 hour Chantal gave birth to a healthy girl named Noa Maria. Noa her weight is 3280 grams and she is 50 centimeters long. Already 30 minutes after she was born she had a very clear and alert look in her eyes. Both mother and daughter are in a fine condition. Father Chris and his oldest daughter Lesley are of course very proud. We received the sad news that in Utrecht on Thursday the 17th of February 2005 Tante Mia (Maria) Pesulima-Riry from Maarssen (the Netherlands), has passed away. Tante Mia was 78 years old. She was the wife of oom Barend Pesulima who was born in Lokki. 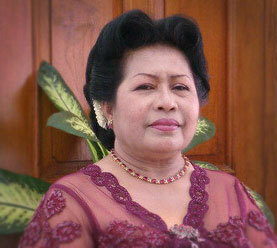 Tante Mia also was born in Lokki (Seram) on the 8th of April 1926. We like to send our condolences to the children and grandchildren and wish them the strength to bear this great loss. Also see the Lokki Lineage. 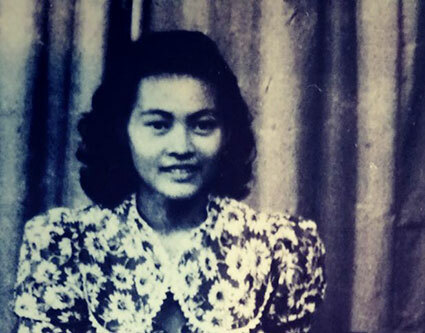 The picture shows tante Mia as a young woman. 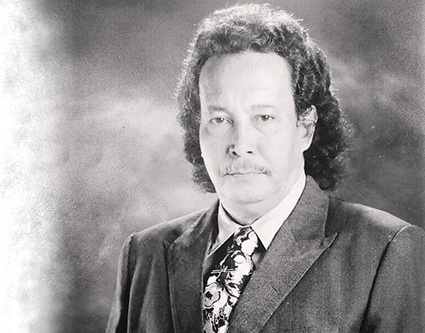 We received the sad news that on Saturday the 4th of December 2004 uncle Mickey LEATEMIA from Wierden, the Netherlands, has passed away at the age of 79 year. Uncle Mickey is the husband of tante Panci (Fransina) PESULIMA, who died in January last year. Uncle Mickey was born in Purworejo on the 3rd of May 1925, son of Petrus LEATEMIA and Jochbed LUHULIMA, both from Saparua. Aunt Panci was, as far as we know, the only Pesulima living in the Netherlands that was born in Soya. See the Soya Linaege. Aunt Panci and uncle Mickey had no children, but they did take care for a long time for other children. We received the sad news that on Wednesday the 24th of November 2004 Oma Ruby Moers-Pesoelima from California (USA), has passed away. Oma Ruby was 87 years old! She was the wife of George Moers who died a year ago in August 2003. Oma Ruby was born in Batavia (Jakarta) on the 29th of May 1917, daughter of Thomas Hendrik Pesoelima and Maartje Hetharia. We like to send our condolences to the children and grandchildren and wish them the strength to bear this great loss. Also see the Pesoelima Lineage. The picture shows oma Ruby and opa George in a happy setting. Isra Pesulima from Amsterdam, the Netherlands, studied art and interior design. Her work is very colorful and surprising. She always uses funny or strange combinations. 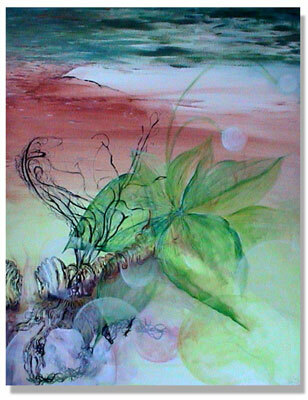 Organic shapes such as flowers and fruits are often the main motive in her paintings. Enjoy her art at the tastefully made website www.isradesign.nl. On the 19th of March 2004 the Dutch National Archive started a website about the journey of 12.500 Moluccans from Indonesia to the Netherlands in the spring of 1951. 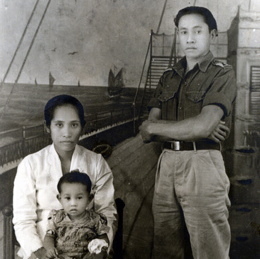 The Moluccan soldiers who served in the Royal Dutch Indonesian Army (KNIL) and their families had to move to the Netherlands. It was intended to be just for a short period of time but it turned out to be a permanent stay in the Netherlands. Go to www.nationaalarchief.nl/aankomst/. In the database you can find all persons that traveled with one of the ships. Here you can find all the Pesulima family members that traveled to Holland with one of the ships. Picture of the New Australia. 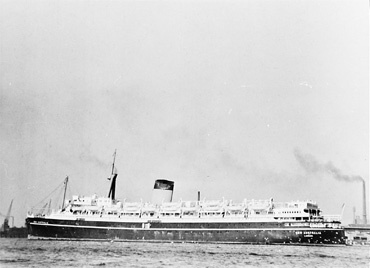 On this ship Bastiaan Pesulima and his family were brought to the Netherlands in 1951. Picture Moluks Historisch Museum, Utrecht, the Netherlands. Selvie Pesulima and her husband Ricky B. Petersen live in Denmark. 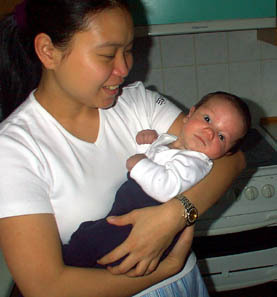 On the 23rd of December 2003 at 4.30 in the morning Selvie gave birth to a 'big' little boy Thomas. Thomas his weight is 4100 grams and he is 52 centimeters long. A beautiful christmas gift! Both mother and son are with good health. Picture made available by tante Panci and uncle Mickey Leatemia-Pesulima. 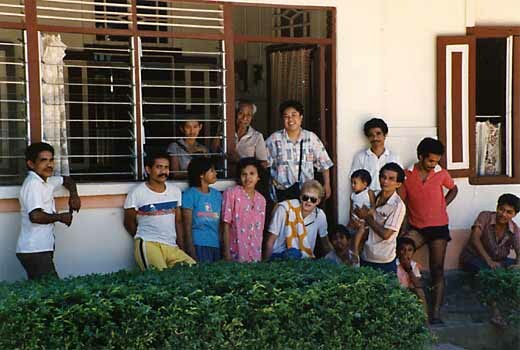 The picture is made in December 1987, in Soya, Ambon, in front of the Pesulima house. The room at the right is the guestroom. Next to the door (on the right) is standing Uta Pesulima (married to Coba Latuperissa). In the front with a child in his arms is his brother Nanu Pesulima. The person in the center of the picture with the sunglasses is Marc Gerritsen from Wierden, the Netherlands. The woman behind him (in the door opening) is Augustien Malawau-Teterissa. (Marc Gerritsen gave the photo to tante Panci Pesulima long time ago). We would very much like to know the other names of the Pesulima family members on this nice photograph. Please send your reaction by e-mail. The names of the persons will be placed on the Soya Lineage. Did you know that oral history learns us that the Pesulima Family comes from a prince of the hinduistic Majapahit-dynasty? See History. Find your Family Members in the Family Tree! Go to Name Index or go direct to The Soya Lineage, The Pesoelima Lineage, The Lokki Lineage, The Ternate Lineage, The Picaulima Lineage or The Galala Lineage. You are not yet in the Family Tree? It's easy to send your info. 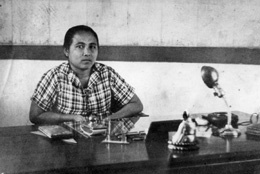 Read everything about Putri Pese-ulima and her five sons at the page History. The logo of this web site is the pohon damar. More about it when you click on the logo of the tree at the top of this page. On this picture we find Elisa Pesulima. He is the man standing in the middle with the gray hair. See the larger version of this historical picture at the Galala Lineage page. Do you recognize one of the other persons on the picture? Please let me know. Picture by Piet Palapessy, made available by aunt Henny Pesulima. 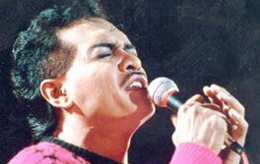 Some information and a portrait of the famous singer late Broery Pesulima at the Galala Lineage page. Do you have more info or a picture of Broery? Maybe it is nice for this web site, so please let us hear from you by e-mail. Picture Kompas. 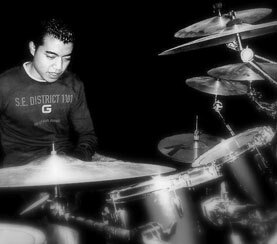 More about Broery at www.broery.com: biography, discography, gallery and lyrics! Two beautiful old pictures of rajas of Ambon are on the page History. Picture Pusaka. Pictures of the raja's seat of stone and the Pesulima House in Soya di Atas, made by Co Hulstaart, also on the page History. 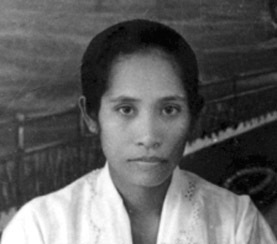 A charming picture of Rieka Paselima, married to Willem Schenkhuysen, is at the page Ternate Lineage. Picture Roy Schenkhuysen. Picture taken during the traditional Cuci Negeri in Soya, the cleanup of the country. 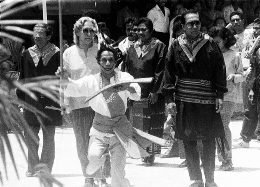 We see uncle Nanu Pesulima and uncle Oken Pesulima together with late René Rehatta the former raja of Soya and his wife. See the Soya Lineage. Picture miss Rita Rehatta. Beautiful photo of Barend Pesulima and his wife Maria Riry together with their daughter Enggelina against the attractive decor of a ship. See the Lokki Lineage. Picture made available by family J.J. Pesulima and used with permission of Enggelina Pesulima. Photographer and year unknown. 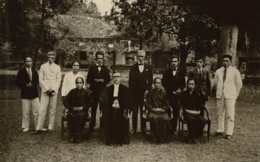 Photograph of Thomas Hendrik Pesoelima, his wife Maartje Hetharia and their children. 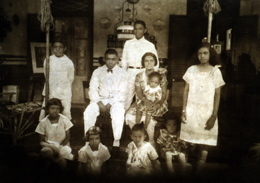 Magnificent image of this nice family, made in Batavia (Jakarta) in the year 1926/1927. Go to the Pesoelima Lineage. Picture used with permission of and made available by George and Ruby Moers-Pesoelima. Photographer unknown. See the reactions in the guestbook. 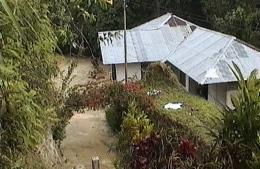 The Pesulima House in Soya di Atas as it looked like before the attack at the 28th of April 2002. 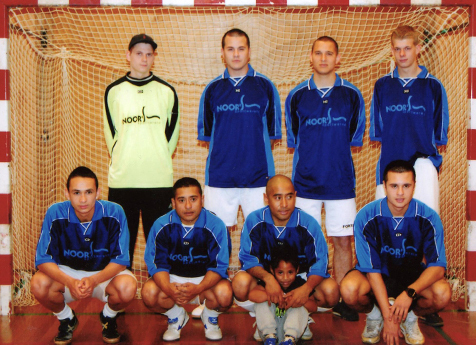 Picture from 1996, made by and used with permission of Co Hulstaart. On Sunday the 28th of April 2002 the village of Soya di Atas at Ambon was the scene of the violence in the Moluccas. People were killed, the houses and the church were burned down. A group of people from Soya, living in the Netherlands, has started an action to collect money to rebuild the village of Soya. Also in Jakarta, Indonesia, an organization is active to raise funds for Soya. A year after the drama, the houses of Soya are rebuild from wood. De church will be rebuild in 2004. Zondag 28 april 2002 was het dorp Soya di Atas op Ambon de locatie van het geweld in de Molukken. Mensen zijn gedood, de huizen en de kerk zijn door brand verwoest. Een groep mensen uit Soya, die wonen in Nederland, is een actie gestart om geld in te zamelen voor de wederopbouw van Soya. Ook in Jakarta, Indonesië, is een organisatie bezig om geld voor Soya bijeen te brengen. Een jaar na het drama zijn de huizen van Soya herbouwd van hout. De kerk zal in 2004 worden herbouwd. 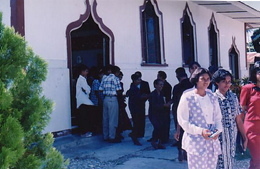 Churchgoing in Lokki before August 1999. Picture made in 1998 by Wim Pesulima and made available by Pieter and Willy Pesulima. The site was last updated on the 22nd of February 2018: news about the Ternate Lineage. Make a text or button link to this site. Copyright © 2001-2018 by Erik Gigengack. All rights reserved. The pages of this site may be freely linked to.